The Legal Lens: Did Chief of Police Michael Taylor Accept Drug Money to Fund His Public Office Campaign? (I'm currently on sabbatical.) The core purpose of the Legal Lens is to expose corruption by reporting the truth. The Legal Lens strives to present ethical and high quality journalism and information for you. At times, the Legal Lens will also have food and travel commentary, which hopefully brings the joy I experience to you. 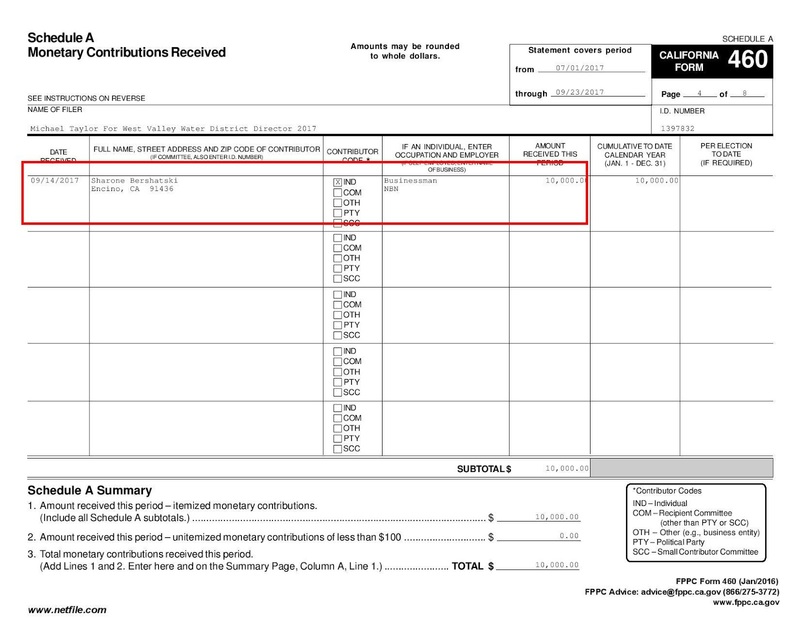 Did Chief of Police Michael Taylor Accept Drug Money to Fund His Public Office Campaign? Photo copyright of the LA Times. According to Michael Taylor's campaign contribution form (called 460) for the West Valley Water District submitted in September of 2017, Taylor accepted a $10,000 contribution from a Sharone Bershatski. 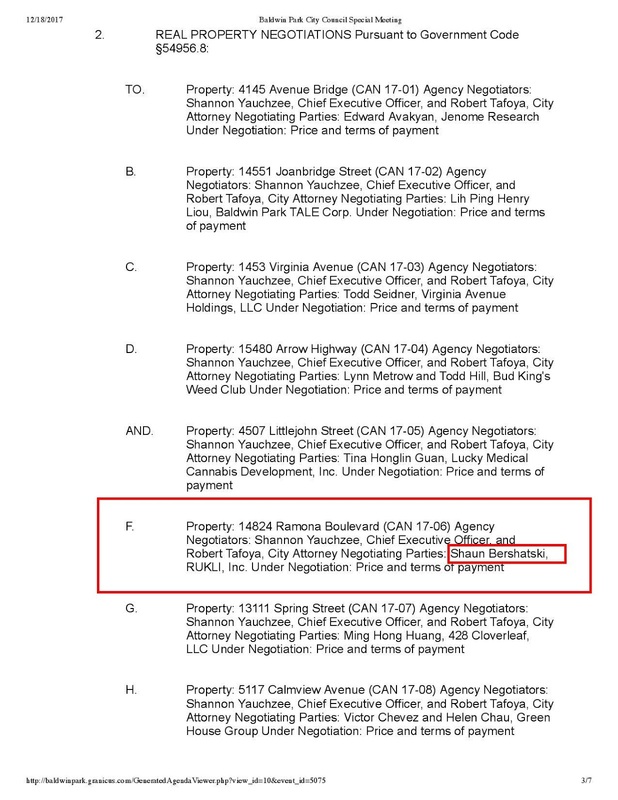 Is it any coincidence that a Shaun Bershatski at 14824 Ramona Boulevard is applying for a coveted marijuana growing license at the upcoming special meeting on December 20, 2017? I think not. (These licenses are highly coveted, because the council has restricted the number of people receiving them - creating an artificial monopoly on marijuana distribution.) Can anything be more ironic than a Chief of Police accepting drug money to become a public official? Such poor judgment reveals the incompetence and moral failings of this Chief. It further damages the reputation and the the Office of the Chief of Police in Baldwin Park. 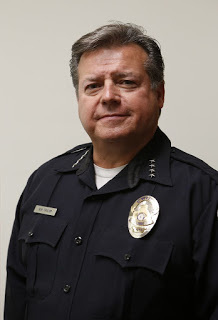 In any event, the only respectable thing left for this Chief to do is to resign and to take his corrupt character out of Baldwin Park, for the people, for the City, and even for himself. We've had enough. I'm an activist attorney and journalist from Los Angeles; I've just returned from a sabbatical around the world. I traveled over 44,000 miles across 9 countries. Generally, I'm writing to change the world, especially for the poor and defenseless. My experience abroad, especially with the kindness and hospitality of strangers, has changed my life. Hopefully, I can integrate what I've learned to make a difference. The most important thing I learned is how much still and alone time can sharpen the mind. From Bogota to the Caribbean: Colombia, Colombia! How to Make Over $1.8 Million in Two Years? Be a Corrupt City Director. Police Chief's Daughter Caught With Narcotics At Motel 6 - Breaking News! TaylorGate: Did Did Baldwin Park's Chief of Police, Michael Taylor, "OK" a convicted fraudster for $10,000?